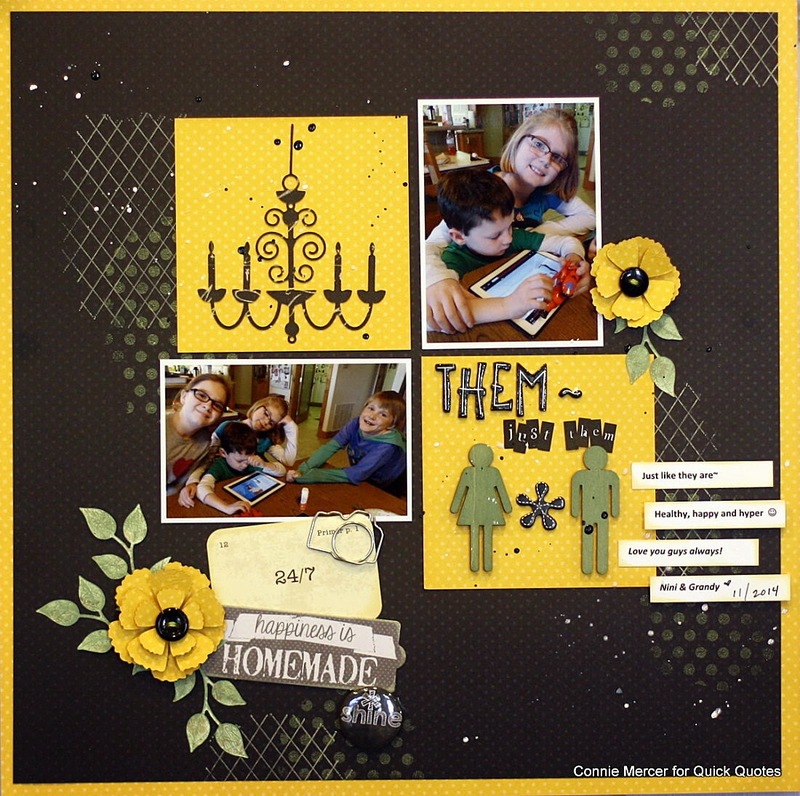 Blog Quick Quotes: Page Inspiration with Connie! 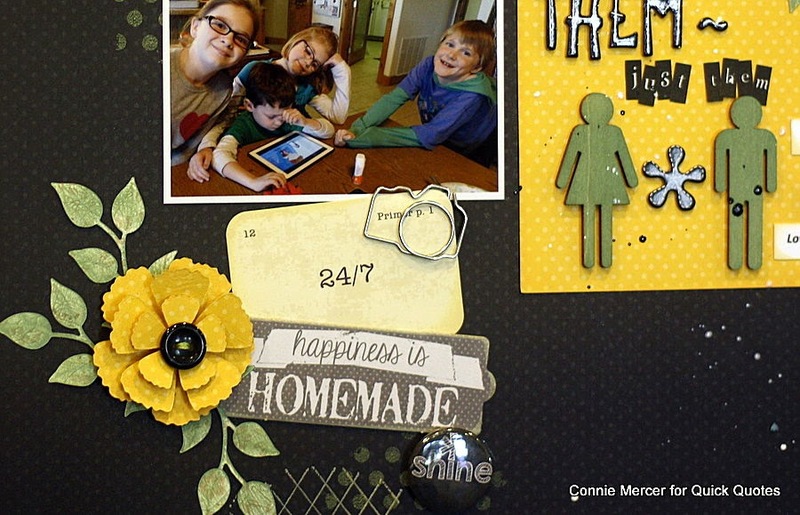 Hi, Connie here with a scrapbook page using the Gypsy Road and Joy Ride Collections by Quick Quotes. One of the things I love about Quick Quotes is the papers! They match and work great with the other collections by Quick Quotes!! That is a plus!!!! This is a grid design (favorite of mine). I used the PowderPuff Chalk Inks with background stamps to add some interest to the Gypsy Road 300 (black polka dot) paper. The Gypsy Road 300 is paired nicely with Joy Ride 200 (yellow polka dots) from a different collection. They look so great together! Buttons, Wood Pieces, Camera Clip.